After a couple of films set mainly in the beautiful Bodega Bay Hotel, we’re taken back to Nazi Germany for part 3, “Toulon’s Revenge”. For those of you keeping score, my prediction during the part 2 review was wrong, and Toulon does not become the villain of the series. This goes with my incorrect prediction from the review of part 1, to indicate I may not be the best person to review these movies. But let’s try anyway. Dr Hess, whose lab is apparently just on a normal street somewhere, is trying to reanimate dead soldiers under the supervision of Major Kraus. First up, they’ve confusingly given Hess the same surname as one of the most famous Nazis – Rudolf Hess, Hitler’s Deputy Fuhrer who for some reason flew to the UK in 1941, was immediately arrested and after the end of WW2 spent the rest of his life in Spandau Prison before committing suicide in 1987, aged 93. It’s not him. These two are played by two of the all-time great “That Guy” actors, people you’ll recognise from hundreds of shows and films but who never got the huge name recognition. 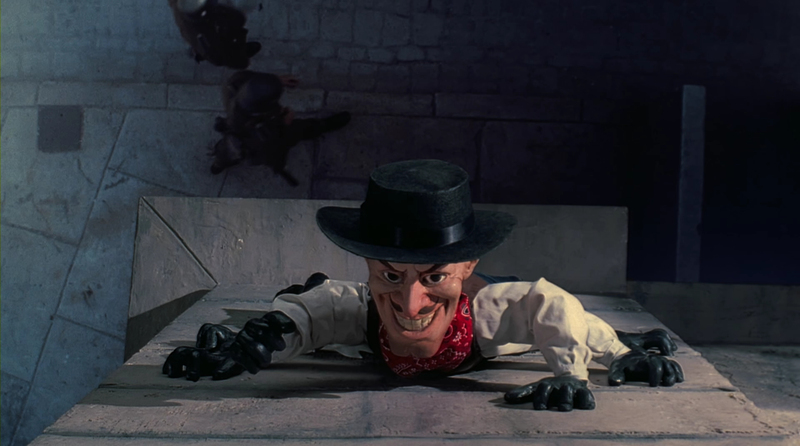 Of course, Hess is failing, and it’s only when a young Nazi goes to see Andre Toulon’s puppet show that he realises with the help of the special goo, introduced in the last film as the method for “feeding” the puppets, he can create super-soldiers. 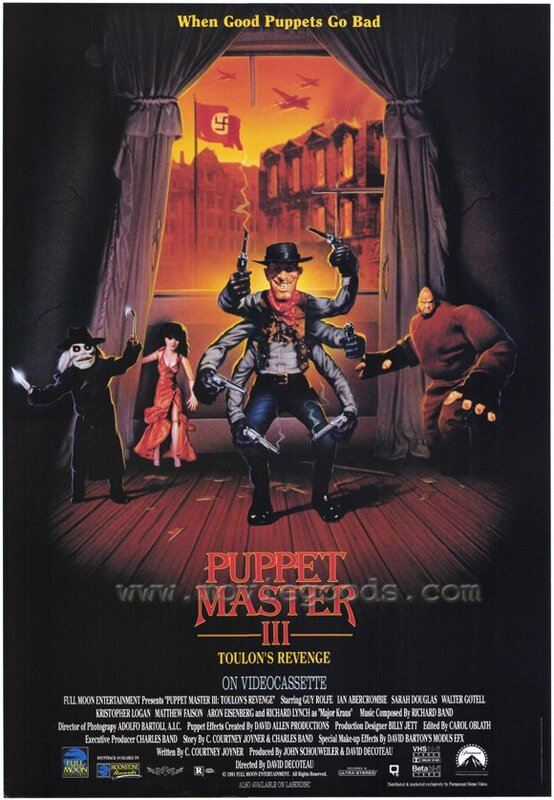 Toulon, for some reason, hasn’t figured out that the Nazis are the bad guys and it really takes the murder of his wife at the hands of Kraus for him to come round to the right way of thinking- and when a man who controls a group of badass puppets promises revenge on you, you know you’re going to get it. 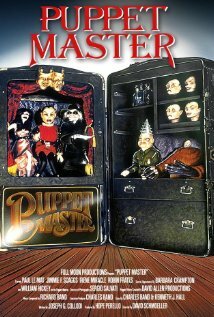 This film also operates as the origin story for two of the series’ most iconic puppets, Leech Lady and Blade. 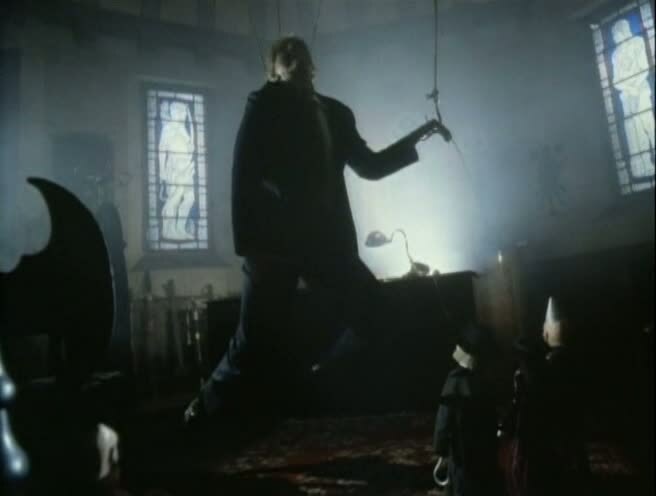 As I’m far too lazy to do it myself, some kind souls have done a timeline of which puppets appear in which films – should you ever think “well, I’m only interested in films where Decapitron appears”. Toulon spends the lion’s share of the film sending his little friends out to kill themselves some Nazis, and, a few minor hiccups aside, that’s exactly what he does. Which is odd, really – the first two films were haunted-house-esque horror films, and now we go to a fairly straightly played revenge film (admittedly, one with magic puppets in it) set in WW2. It’s so different a prequel that it barely qualifies as one, and that’s leaving aside the timeline issues. Toulon dies in 1939 in part 1, but this film is set in 1941 and he’s still alive and kicking; also, he says he found the magic for his puppets 15 year ago, which would be 1926, but when we’re treated to the same flashback from the last film (edited to remove the different actor playing Toulon, of course) the poster saying 1912 is clearly visible. I don’t know, I try not to nitpick these films. Sorry. Despite my misgivings above, any film where Nazis get slaughtered and outwitted is okay in my book. And surprisingly it’s not that bad a film, with three solid veteran character actors at the centre of it – Guy Rolfe, Richard Lynch and Ian Abercrombie (who is best known nowadays for a hilarious recurring character on “Seinfeld”). In purely film terms, it’s the best of the series so far, but it might be worth pondering what we’re seeing for a moment. Toulon is a reanimated villain in part 2, so seeing the story of his earlier life where he seems to be a genial, loving, decent person, without seeing any hint of the man he would become, is disconcerting. Parts 2 and 3 were produced at almost the same time, by the same few creative people, so we can’t blame forgetfulness or retooling on any of this. Still, as has been established, I continue to be wrong about these films, so perhaps a few of the future films, judging by the “Axis” in the title set around the same time, will give us more of this backstory. It feels like a sea change for the series, so let’s see where they go with it next. Although I can’t help but think there’s going to be a lot of different stories, linked only by the puppets and “hey, a distant relative has discovered Toulon’s horde and needs to use the puppets for evil purpose X”. DID YOU KNOW? 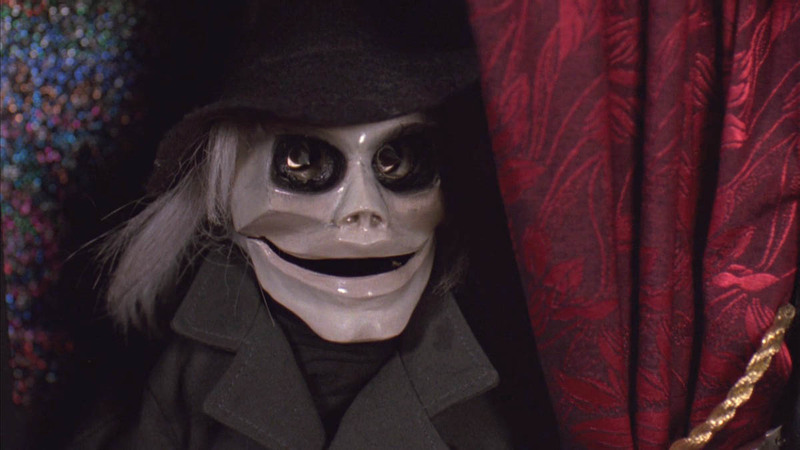 Puppet Master 3 is one of those films where a sequel is announced during the end credits that never happened – the name of their potential part 4 never materialised. 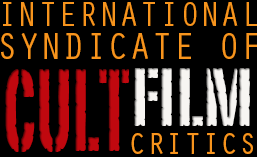 This joins “Chasing Amy”, “The Adventures of Buckaroo Banzai” and a few others – read all about it here.